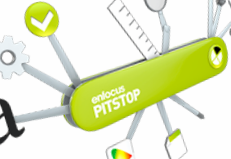 With Fusion’s Workflow ESP prepress automation and digital integrity quality control, you’ll have all the tools necessary to keep production flowing error-free, and all the tools necessary to simplify and automate the broadest range of tasks. A comprehensive publishing prepress workflow providing advanced automation across file receipt, pre-flighting, file and color correction, ink optimization, routing, processing, press accurate soft-proofing, imposition and output. Web-based communications allow everyone the status of each job and provides local production personnel and remote clients with 'Dot-Locked' post-RIP page proofing and approval capabilities. Easily set up automated retrieval of files from client FTP sites, local Hot Folders and incoming mail addresses. Files are immediately pre-flighted based on job type, corrected as necessary and routed as necessary. Most any type of file task can be automated such as color image enhancement, color standardization, ink optimization, file duplication for alternate workflows, etc. prior to routing files for RIPing, Post-RIP proofing and page pairing or imposition. Because the same file is always used to proof, imposition and plate you always know in advance that plating will proceed predictably and how the printed job will look. Publication Proofing System (PPS) automatically posts fully ripped page proofs by publication date, name and section for easy web access. Raster-PDF proofs of ads or pages can be quickly opened within common web-browsers for internal and/or external viewing. Easily access detailed information on job status from any local or remote workstation. See which flats are awaiting approval and which have been forwarded for final film or plate output. Identify potential problems early to prevent time consuming bottlenecks, search for specific pages by name to review detailed file processing information and more. Proofed and approved digital production pages are automatically paired or imposed into signatures. Pages are automatically inserted into imposition signatures as soon as they arrive in their assigned watch folders. Completed flats are automatically queued and routed for final film or CTP output. Completed flats are automatically queued for output. Fusion Systems' Workflow ESP incorporates Dynagram DynaStrip Automation for unparallelled controll and flexibility. 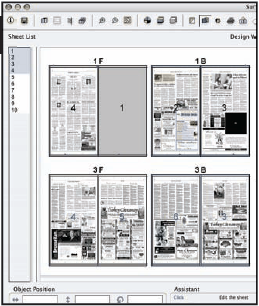 DynaStrip allows you to build any type of signature layout required including combinations of broadsheets and tabloid pages. Provides 2, 4, 8, 16, 32-up + page layout, automated web-growth compensation, custom landscape and marks. • Floating licenses enable output from multiple workstations using a single Security Key.